One night, a seven-year-old puppy mill dog was abandoned outside of a Florida animal shelter. Emaciated and unable to use her legs, Winnie’s future looked grim to her rescuers, who had little hope that the pup would ever walk again. After being rescued, Winnie was taken in by foster mom Stephanie Gordon, who was undeterred by the dog’s challenges. Gordon resolved to do whatever it took to restore Winnie’s health, strength, and spirit. Winnie shocked her rescuers and caretakers by kicking all four of her legs when she was placed in water. Determined to help Winnie walk again, Gordon built a custom cart for her. Although Winnie’s foster mom believed in her, it still came as a surprise when Winnie was placed into her cart and immediately became mobile. After Winnie started using her cart to move around, vets estimated that she could regain full use of her legs in three months’ time. Just a few weeks after Winnie began using her cart, she took her first steps on her own. Now, Winnie runs unassisted at lightning speed! Winnie has been officially adopted by her foster parents and continues to thrive. Thanks to Gordon’s dedication and Winnie’s resilience, the pup’s life is better than anyone could’ve imagined the night she was abandoned. May God be bless you Stephanie!!! Amazing, you are truly an Angel to believe in her. Thank God for people like this! A heart-warming journey and a very happy ending. This is a wonderful Story of what can happen when someone cares enough to try & make it happen. and this wonderful couple did just that. 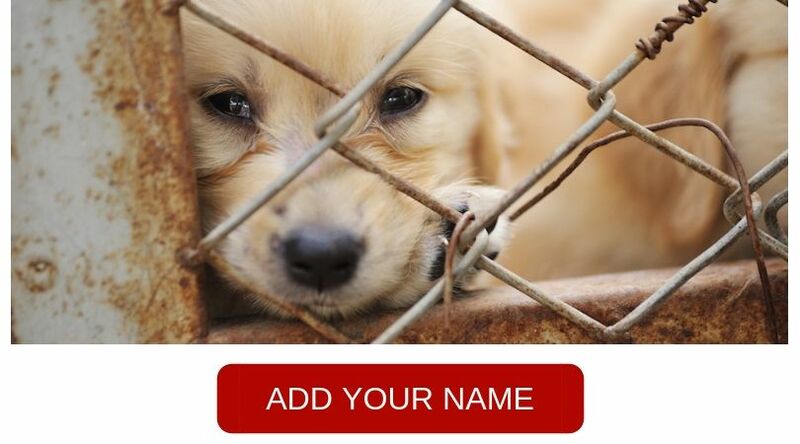 It is high time to put a stop to these Puppy Mills. Thanks to this Couple this Pup has a New Wonderful life it wouldn’t of had if they hadn’t of found this Pup & taken Her in. All animals deserve a chance at life..bravo to this lady for what she did to help this dog.. Simply brilliant !!! Well done for bringing this little soul back to health. THANK YOU FOR CARING AND LOVING ANIMALS. OUR STATE AND LOCAL GOVERNORS AND MAYORS CAN TAKE A LESSON FROM YOU. There are some good things happening in our decrepit world! Thank you Stephanie! What a wonderful story.Thank you to everyone who aided in Winnie’s recovery,and to everyone who is relentless in their love and compassion for innocent animals. Bless you soul Stephanie Gordon you did a super job. Way to go Winnie!! ???? Thank you so much for all your heart. Our world is worth a living thanks to people like you. We should not buy any pets from puppy mills or breeders. Without the foster mum she surely would have died. All the pup needed was a bit of help and she got it. Thank you for spending a little time everyday coaxing her to walk. This is a lovely story and I am happy for the whole family. Thank you Gordon, and wonderful ! Winnie that you are doing good ! So happy for both of you. Love you Winnie. Thank you Stephanie for never giving up on Winnie – you both have accomplished so much!! Congratulations, you have given this little pup a very bright and happy future.. I am so happy for this little doggie that there are still people in this world that are willing to help animals when needed! Good luck little doggie!! I love this story ? Winnie has accomplished so much in her short life and seeing her walk unaided, was the most amazing thing. Thank you for taking her in and congratulations on your furry new pet. This is truly a most heart-warming story of coming back from the brink! My heart broke when I first started to read the story. Well done to Stephanie and family for all the work they have done with Winnie.